I haven’t written a Lonnie and Tiny book, but I’ve written several stories about them, most of them for a collection of them I’d like to do. 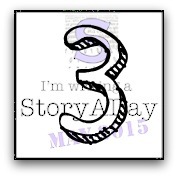 There are five Tuesdays in Story A Day May, so I’ll have five new stories to add. This year, I’m serving the double purpose of cleaning my office and using some of what I find every morning as story prompts. My wife, Mary Lee, came in waving a piece of paper and kissed me before she even closed the door or put down her keys or took off her coat or anything. What it was was a Friends of the Library Winter Getaway. There was some kind of a convention in Savannah, Georgia. Any member of our local Friends group who volunteered to go would get to stay free in a cottage on Tybee Island, just off the coast. She showed me the dates, and I allowed as how I could get that week off work, and she kissed me again. This was a win-win situation, if ever there was one. We had Lonnie and Leola over for supper, and he acted like he didn’t much like the idea, but we all knew that was just Lonnie being Lonnie. I couldn’t stand his cooking, either, so I saw her point. Naturally, we both went along. Since the cottage took pets, I wanted to bring Homer, the stray that Lonnie thinks came up from hell itself, but then Mary Lee would want to bring her yappy little house mutt, Angelface, so Mary Lee’s sister said she’d come over to feed and water both dogs. We all four took turns at the wheel, and it would have been a completely uneventful drive if Lonnie hadn’t zigged when he should have zagged and took us east and south instead of south and east. You ain’t lived until you’ve gone through the Cumberland Gap by moonlight. The wives loved it, and Lonnie acted like he’d done it on purpose, but his knuckles were so white they were like little extra headlights. But we got there, and found the cottage, which was really pretty and not far from the beach. It had a kitchen and all, so the wives went right back out and stocked up on groceries while Lonnie and me hauled the suitcases in from the porch and into the rooms. Next day, the wives hit the convention and Lonnie and me went exploring. The town started a block to our left, and what looked like wilderness started to our right, so Lonnie just naturally wanted to go right. “I don’t think they have alligators in Georgia, Lon.” Turns out they do, and we saw some at a restaurant that night, but I didn’t know that. He pulled out that little smartphone he’s so in love with and started snapping pictures of sand and palm trees and me. “Smile, your own self.” There’s probably more pictures of me on Facebook than there are of the President, and I’m not even on the damn thing. The “wilderness” was only a couple hundred feet, and then we were on the beach, and I’ll tell you what: it was worth the trip. Even Lonnie stopped jabbering for whole minutes at a time while we walked and gawked, just about alone, it being off-season. Before too long, we got to where the town came right down to a plaza and a pier. We followed the street inland, past a couple of restaurants, a bunch of gift shops, and a tattoo parlor, and ended up in sight of our cottage, where we ate and took naps until the wives came in and dragged us back out. They had a free day the next day, so we went to the beach and this dinky little marine museum. Turns out Tybee Island is known for sea turtles coming there to lay their eggs. It’s apparently some kind of a big deal, and the wives bought postcards, t-shirts, souvenir pens, and keychains shaped like little rubber turtles. “Oh?” That was always the safest thing to say. Sometimes his notions blew over on their own. “Do what?” I’d known Lon since we were both knee-high to grasshoppers, and this was a new one. This was bad. For some reason, Mary Lee and Leola count on me to keep Lonnie out of trouble, in spite of the fact that Lon could get into trouble chained alone in the basement of Alcatraz prison. Leola knew more than Lonnie thought she knew. It’s just that she decided a long time ago that she loved him, and she’d decided that the only way that was going to work was for her to overlook a damn sight more than other women with other husbands would have to do. Sometimes I suspected that Mary Lee felt the same way about me. “Now how is Leola not going to know you got a tattoo?” You notice we’d already gone from “Let’s” to “you.” He knew damn well there wasn’t no way in the world I’d let some guy poke holes in me and rub ink into the wound. I wasn’t about to ask where on his body a man’s wife did and didn’t look, especially when I knew the man and his wife, and ate with them sometimes. Besides, I could see by the way his eyes were shifting that he was considering and rejecting locations. He got that muley look that told me he’d dig in harder if I tried to talk him out of it. His stubbornness flickered to uncertainty again. Maybe all wasn’t lost. I said, “The only place I can think of for sure is between your toes. Even your doctor never looks between your toes.” Just the thought of a tattoo needle in between my toes made my feet twitch, but Lonnie’s imagination doesn’t work that way. Turns out, they do. It was almost lunchtime before Lonnie finished browsing and trading small talk with the artists and customers and other hangers-around. There was some good-natured teasing of big ol’ Tiny, who didn’t even want to look at the designs, but nobody tried to talk me into anything, so I didn’t mind the jokes. Finally, Lonnie made his choice (a cartoon – surprise!) and sat down. He pulled off his shoe and sock. The artist – Watson, he called himself – put on latex gloves. He swabbed Lonnie’s foot down with alcohol or some kind of cleaner and disinfectant. He braced the toes apart so he could get to that little web of skin right where the toes come together. I was watching that procedure, so it wasn’t until Lonnie said, “Urp,” that I found out what Lon would look like as a Martian. Green skin, buggy eyes, skinny body, everything but the bulging brain. Lonnie’s eyes rolled up in his head and he slumped sideways in the chair. Watson turned off the machine. “You stopping?” Seemed to me, unconscious was the only way to get a tattoo. I saved his empty coffee mug from being knocked off the table by his flapping arms. He punched me in the bicep and gave me a sympathetic smile. That probably made me a genius, but I didn’t say that out loud. Oh, yeah, I almost forgot: I’m posting at Fatal Foodies today about what I did with half a salmon patty. This entry was posted in Story A Day May. Tagged Friends of the Library, tattoos, turtles, Tybee Island, vacation. Lonnie and me and Tybee Island.